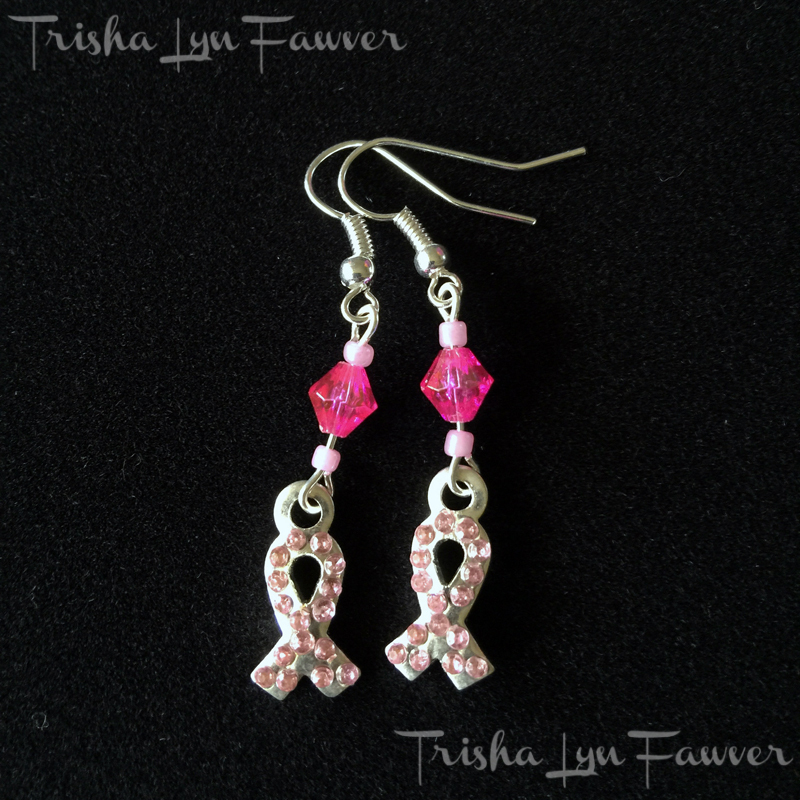 Edited to add: This blog post was originally from April 2017, but I’ve updated it as of 10/1/18: I will be donating 50% of the sales of my Pink Ribbon designs to the Breast Cancer Research Foundation for the entire month of October 2018. The AVON 39 The Walk to End Breast Cancer in Washington DC is May 6-7th. Liz still needs to meet the minimum fundraising goal to be able to participate, so I’m doing what I can to help. I have several new earring designs and some older wine charms available for sale at Trisha Lyn Gifts. Through May 5th, I’ll donate 50% of the sales of these items to the Avon Breast Cancer Crusade on behalf of Liz and team Affiliate Marketers Give Back. The dollars you pledge will put food on the table of a breast cancer patient and her family. They will enable access to mammograms and medicine, fuel research, and save lives. 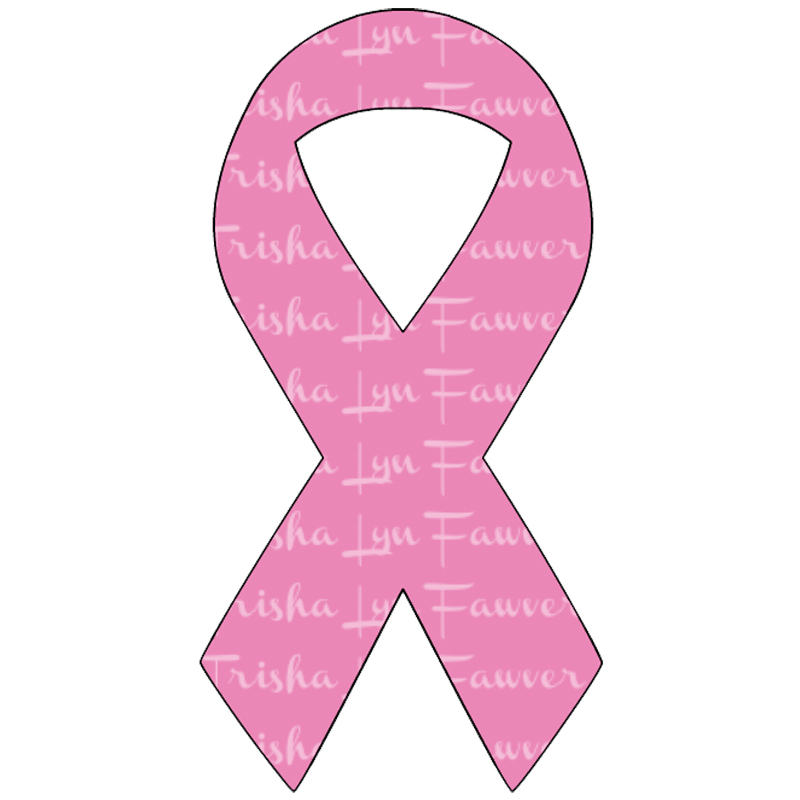 If you’d like to make a donation yourself, please go to http://www.savingthetatas.com (redirects to Liz’s donation page). Or, please feel free to click through the images below to the corresponding products to make your purchase! I have a bunch of pink ribbon things. My nana is a breast cancer survivor. Ah this such a lovely idea! What a brilliant idea too – I know so many of us who would buy these – will share! These are some lovely items. And of course such a wonderful cause. This is a great idea to help cancer patients. 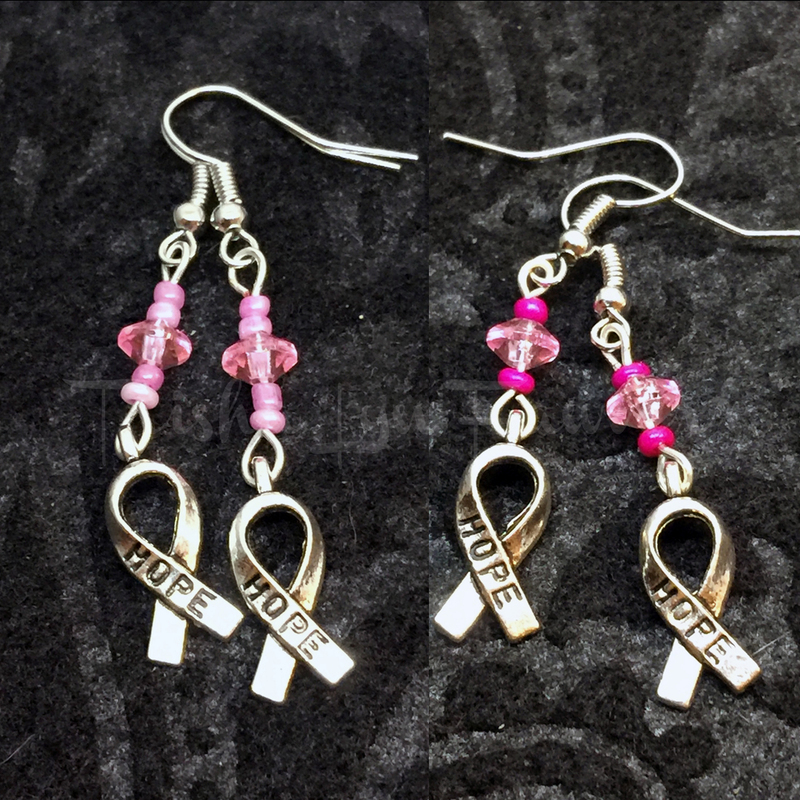 I like the Hope Ribbon Earrings design, fantastic! This is a great cause and one I get involved in by donating when able. Those are some cute little jewels, I’ll be sure to check them out. These are great products to support Breast Cancer. 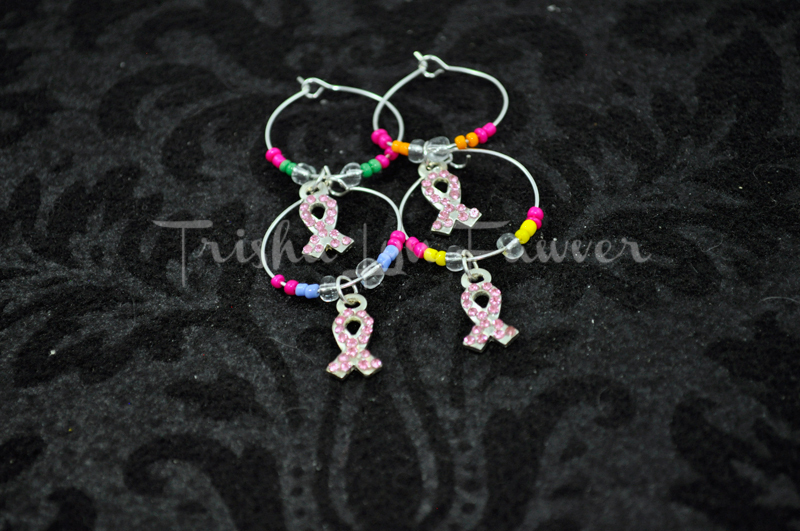 My aunt had Breast Cancer, so I have tons of pink ribbon products. These are all great items. 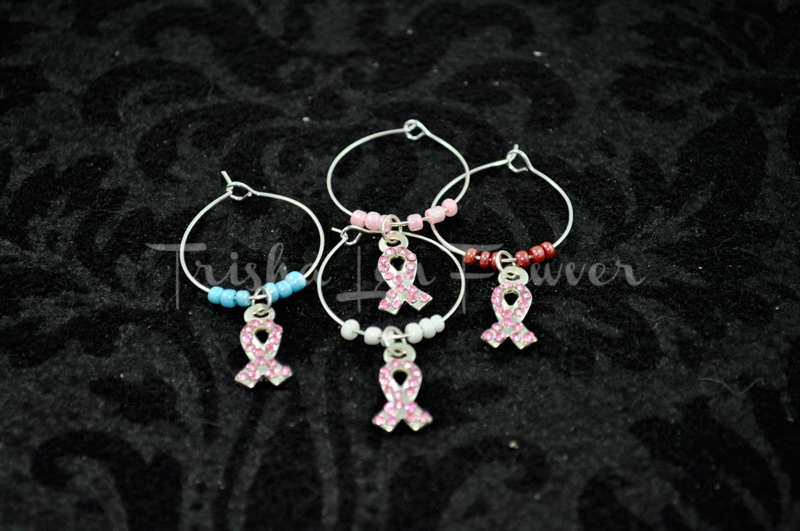 I will have to get the Breast Cancer Awareness Bling Ribbons Wine Charms for this summer. I am definitely going to purchase an item or two. I have two cousins, both breast cancer survivors. However, it was unfortunate that I lost an aunt to the same disease. Anything to help women suffering from disease will get my support. These are really cute earrings and I love the cause. I lost my oldest sister to cancer two years ago and many other family members over the years. 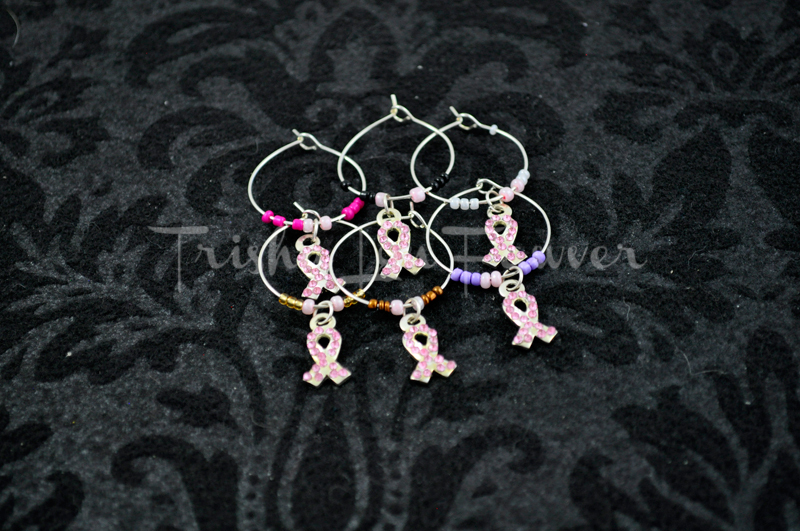 Breast cancer takes the lives of a lot of women every year and it would be nice to help out. I think these are lovely accessories and it’s awesome that the proceeds will be helping fellow women in need. I sure would love to purchase some of these as gift to friends. It’s nice to be able to help out by supporting businesses that make products in support of breast cancer research and patients. I admire you for doing that. The designs are beautiful! I hope Liz will be able to achieve their goal for the fundraising. Avon also has a similar campaign in the Philippines. Good to know that one of my favorite brands supports this cause. Good luck to her on meeting her fundraising goals!! I think it’s wonderful that you are there to help. Those are nice accessories to increase awareness about the disease. How I wish I could buy any so I could help in my own little way. My step mom died of breast cancer and use to collect everything pink. She loved it all no matter what it was.